New never-before-seen court documents reveal details moments after the killing of 8-year-old De'Maree Adkins. 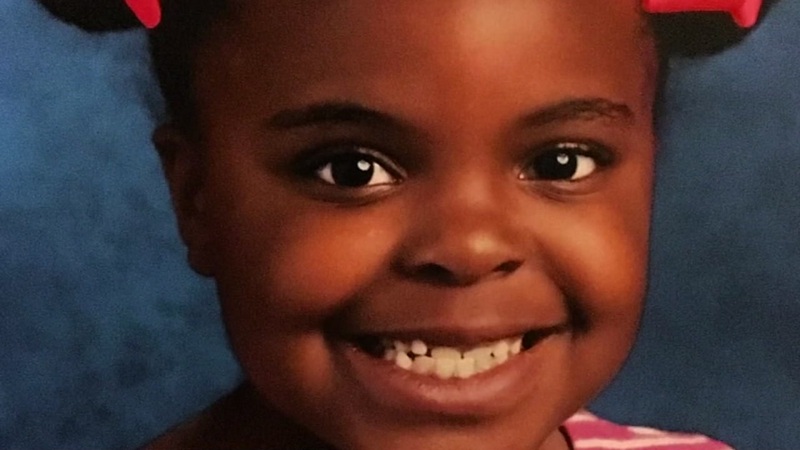 HOUSTON (KTRK) -- Court documents revealed new details in the case of 8-year-old De'Maree Adkins, who was murdered less than three weeks ago. According to the affidavit in support of an arrest warrant filed by Houston police, suspect Jacobe Payton told a friend shortly after the shooting that he pulled the trigger. The 16-year-old friend informed investigators Payton told him, "I don't know what happened, I just started shooting." According to detectives, that friend, who we are not identifying because he has not been charged with any crime, was driving the car which ran a red light on Fuqua at the South Beltway on Feb. 25. Adkins mother, Latoyia Jarmon, was on the feeder road heading east when she slammed into a vehicle. An 8-year-old was shot to death after surviving a car crash early Saturday morning. Moments later, Jarmon said, someone in another vehicle drove up and opened fire at her car. "All I can envision is my baby, her lifeless body, gasping for air. I see that every night. Every night," said Jarmon. Adkins was asleep in the back of the car and was fine after the wreck. "She should still be here. She had her whole life ahead of her," said Jarmon. Court documents indicate Adkins died of not one, but multiple gunshot wounds to the chest. Investigators found about four 9mm shell casings at the scene. Despite the apparent confession to his friend, police said Payton never repeated that admission to them. When questioned, Payton denied any involvement in the shooting. Jarmon said justice must be done and wants Payton to feel the same pain she does. She demanded Payton give her answers. "I just want to know why. Why would you do such a thing?" Jarmon said. Payton remains in custody at the Fort Bend County jail awaiting a bond reduction hearing.